The Amish Berkeley Arched Panel Bed is a solid wood beauty for your bedroom furniture collection. A beautifully arched panel is framed in the solid wood of your choice to add an attractive display in your bedroom. The Berkeley offers a classic style that works well in both formal bedrooms and casual bedrooms. This Amish made bed can complement a contemporary bedroom furniture collection as well. 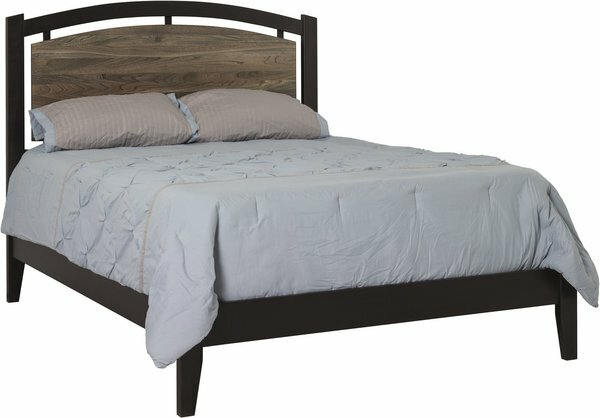 This bed features thick and squared bed posts and legs in the wood and finish you choose. We offer the matching Amish Berkeley Five Drawer Chest and the Amish Berkeley Three Drawer Nightstand to use with this arched panel bed. Select the beauty of Amish craftsmanship for your bedroom furniture and enjoy heirloom quality that will last for decades. The Berkeley will beautify your home furniture collection with its graceful shape and solid wood strength. This gorgeous solid wood panel bed is handcrafted in Ohio by dedicated Amish woodworkers who care about details that contribute to exquisite comfort and style. Learn more about the makers of this panel bed in our Stories section and view more of their solid wood collection in our Barkman Furniture Collection section. Call us today to create the bedroom you've been dreaming of.